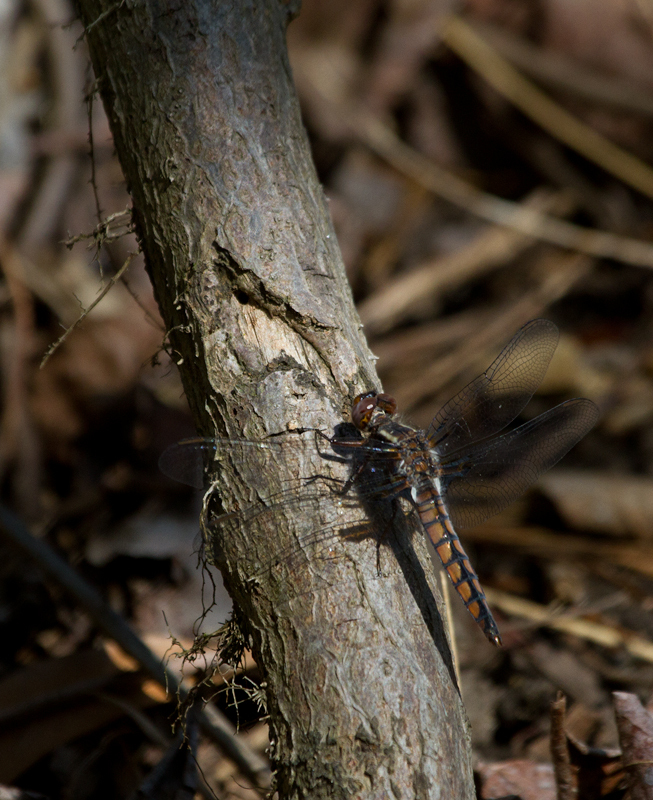 Spring in Maryland. 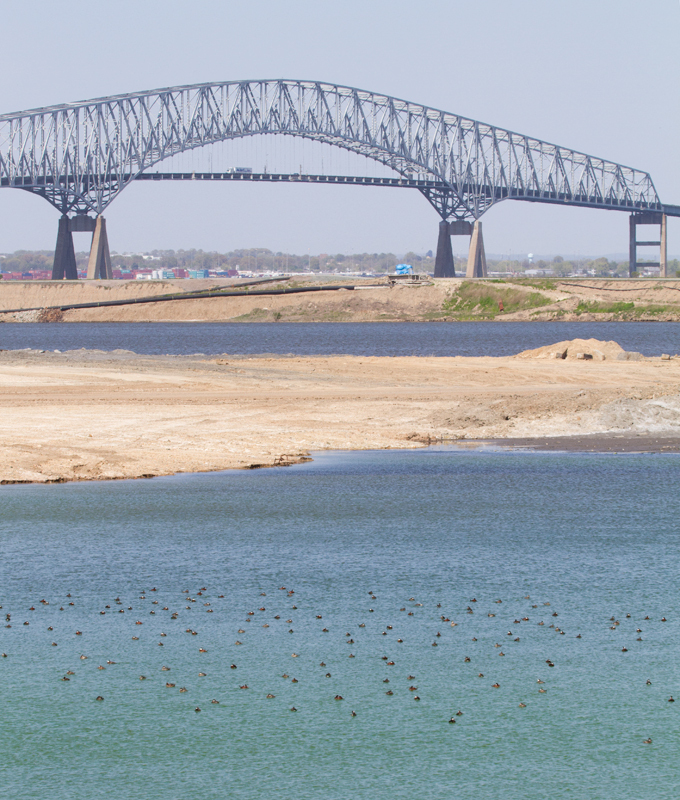 Last updated: 4/15/2012. 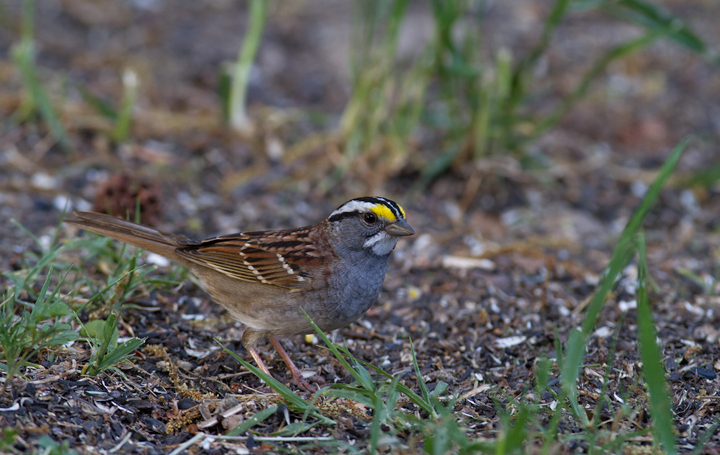 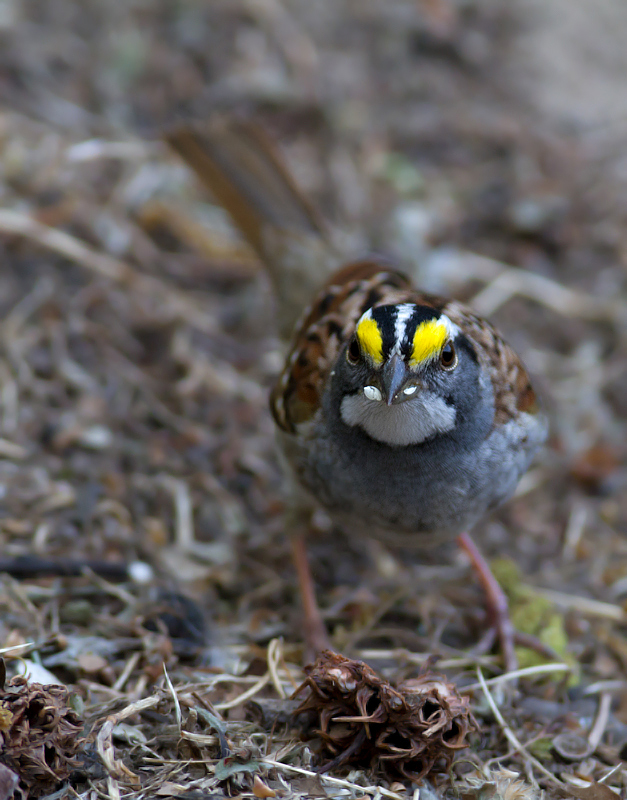 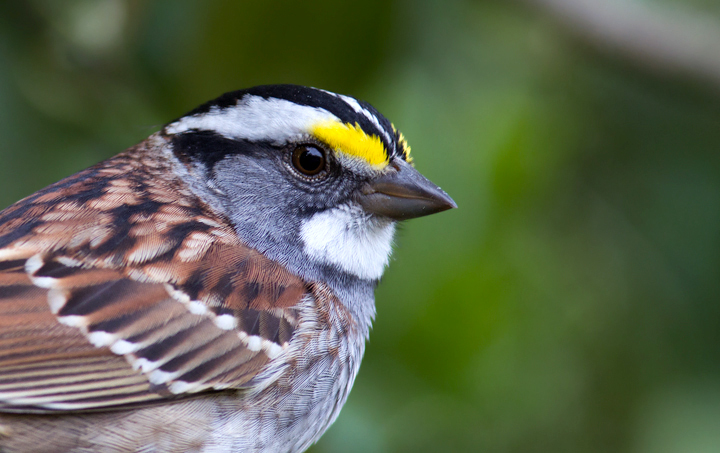 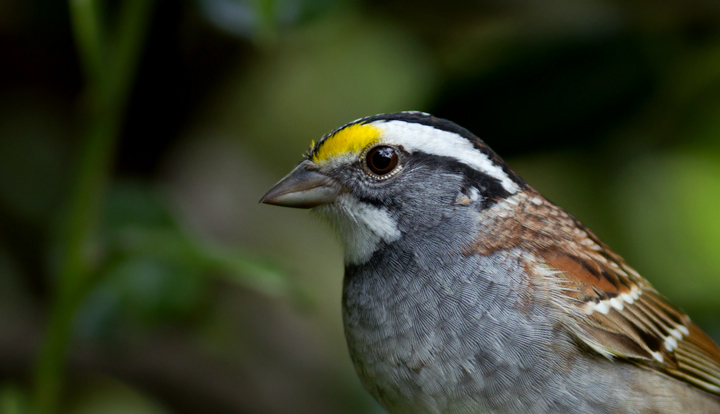 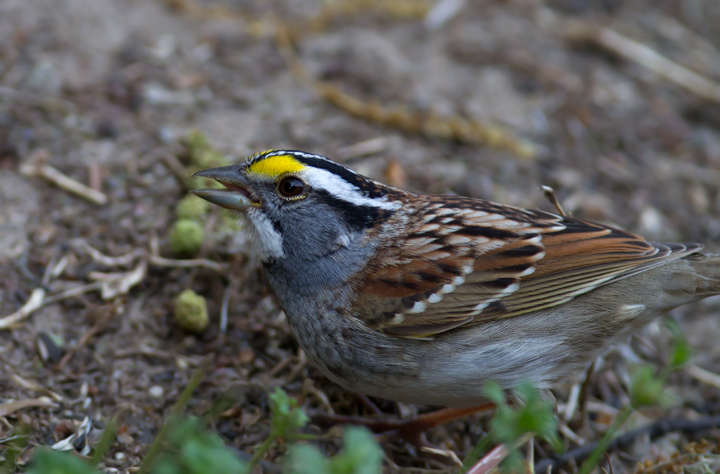 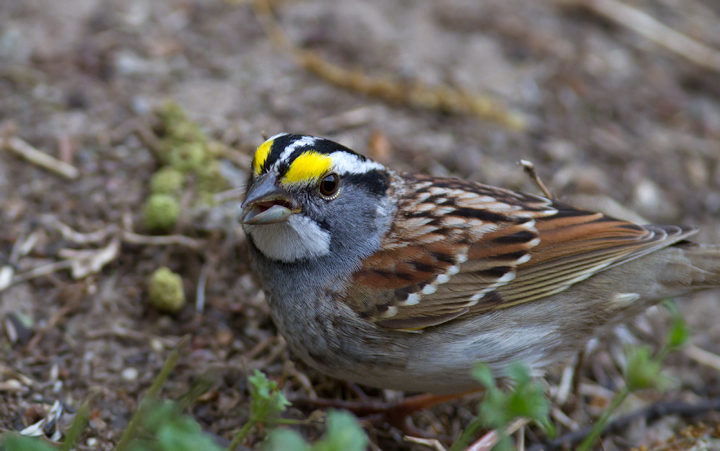 Above and below: I decided I couldn't let the sharply dressed White-throated Sparrows in my yard leave without posing for a few yearbook photos (Pasadena, Maryland, 4/15/2012). 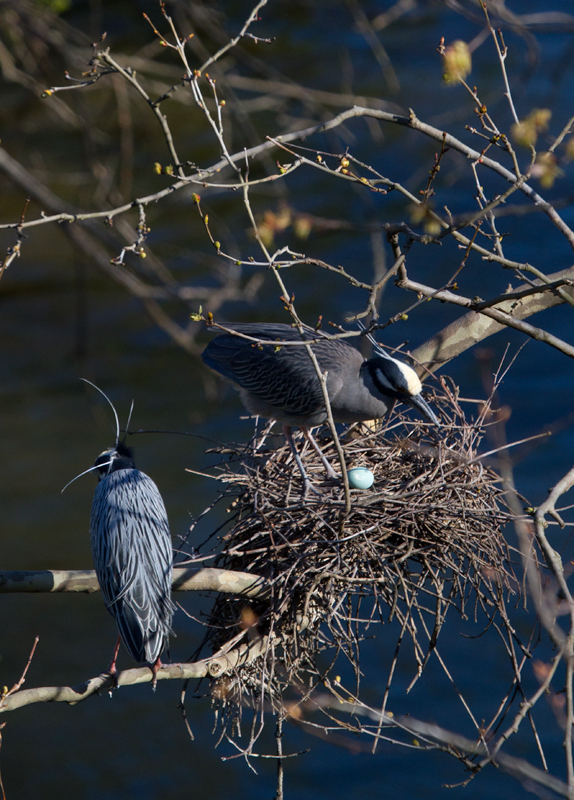 Below: Yellow-crowned Night-Herons nesting in Baltimore, Maryland (3/29/2012). 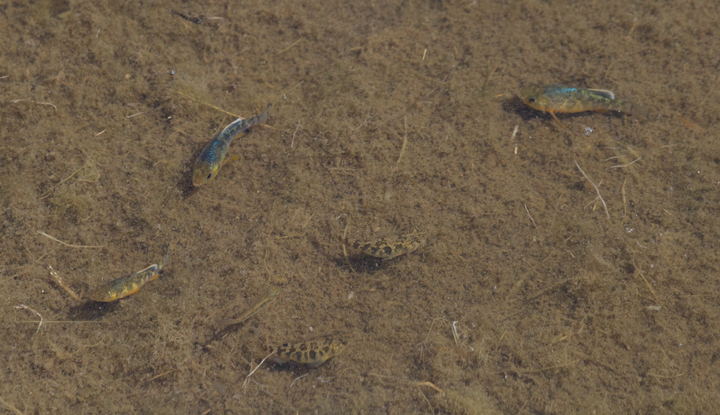 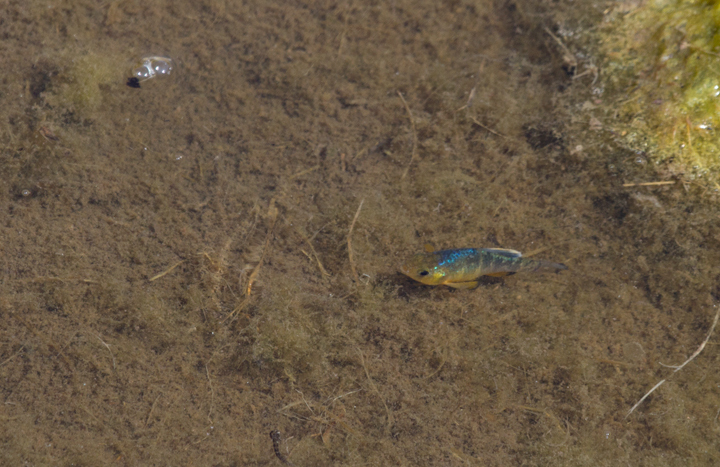 Below: Sheepshead Minnows sparkling in a Chesapeake Bay marsh (4/15/2012). 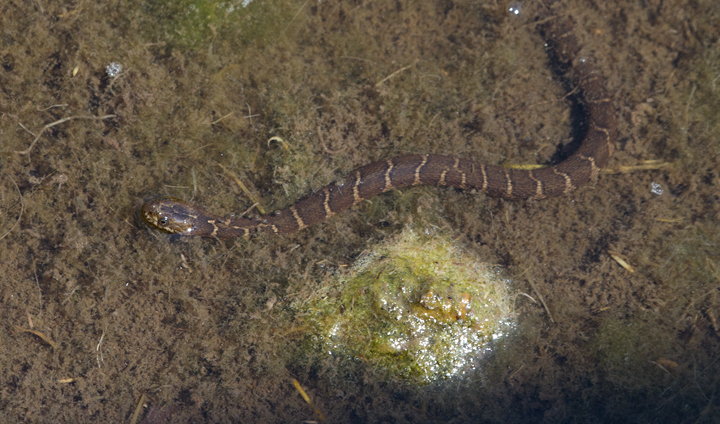 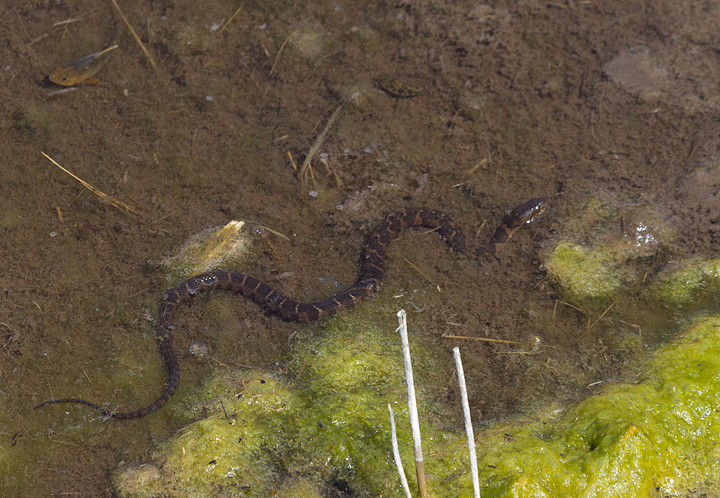 Below: Unfortunately for the minnows, the marsh is also a nursery for young Northern Water Snakes (two of six noted below). 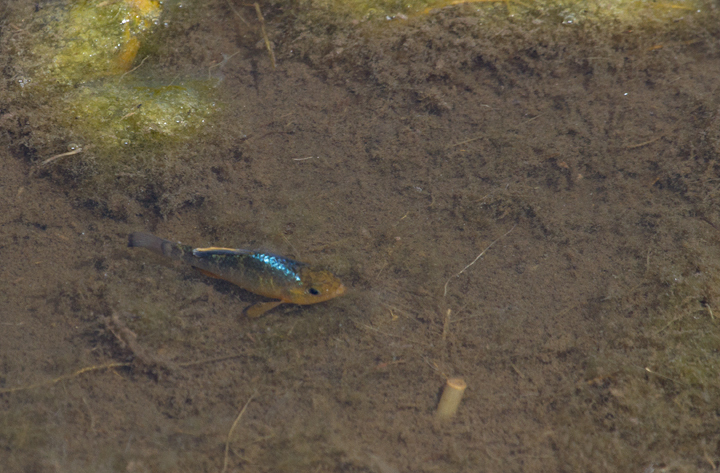 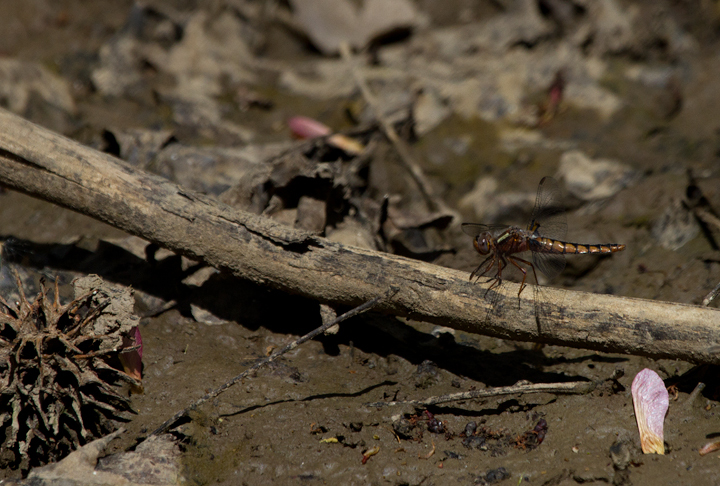 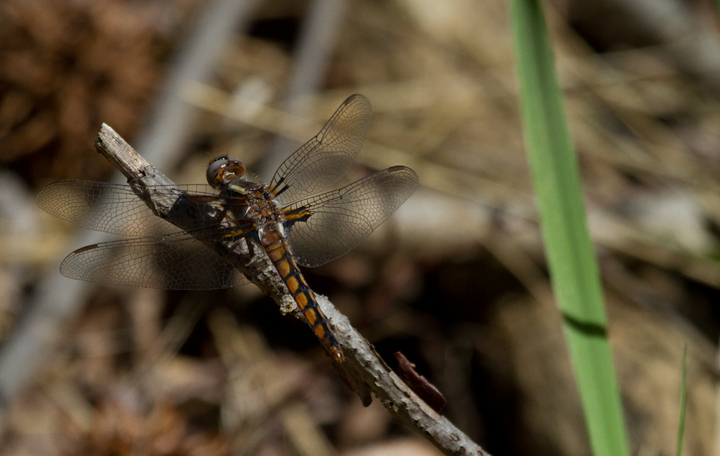 Below: Newly emerged Blue Corporals at Swan Creek in northern Anne Arundel Co., Maryland (4/8/2012). 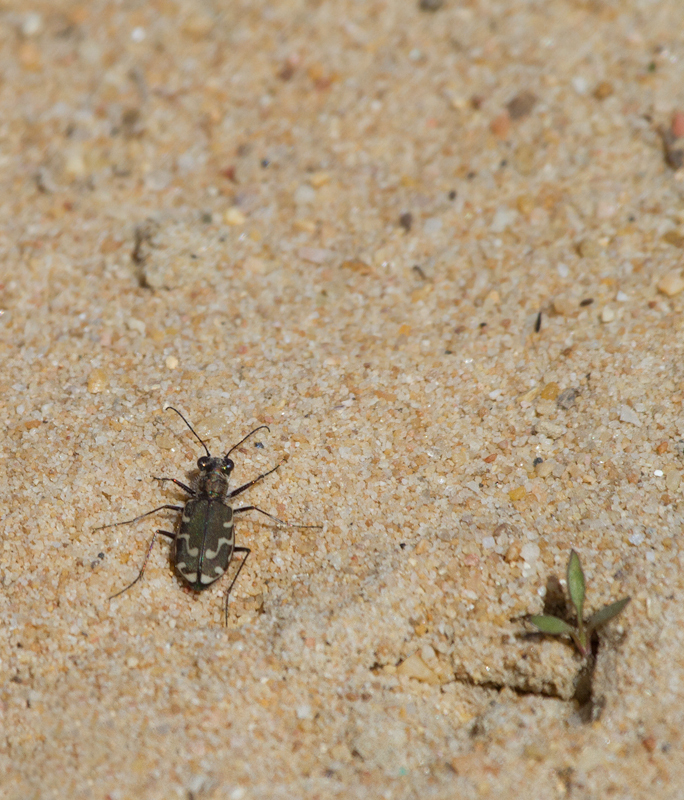 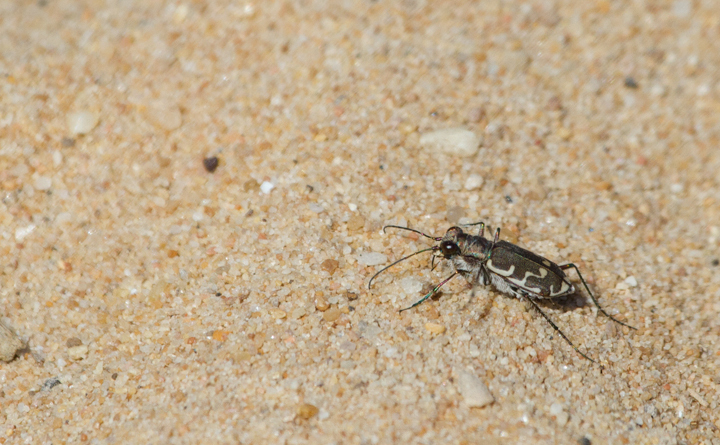 Below: Bronzed Tiger Beetles along the Bay at Swan Creek, Maryland (4/8/2012). 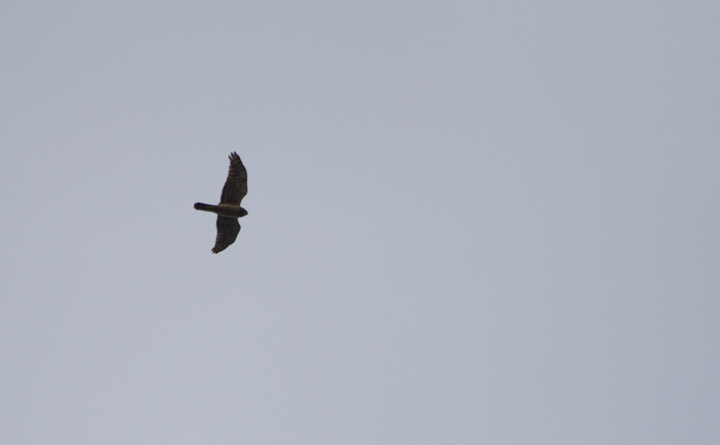 Below: A Northern Harrier casts a distinctive silhouette over Fort Smallwood Park, Maryland (4/15/2012). 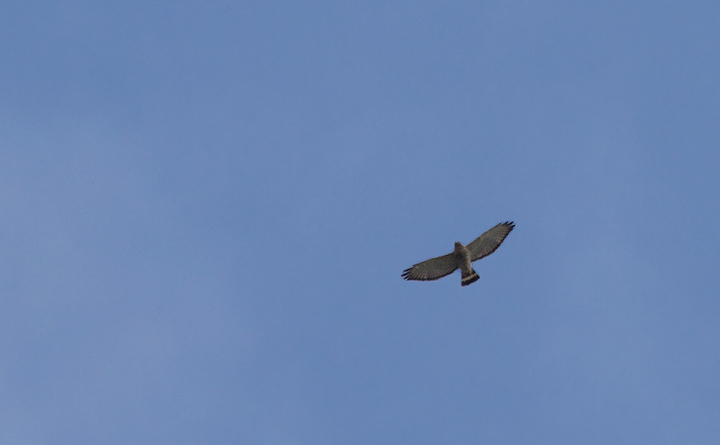 Below: A Broad-winged Hawk passes low over the Fort Smallwood hawk watch (4/15/2012). 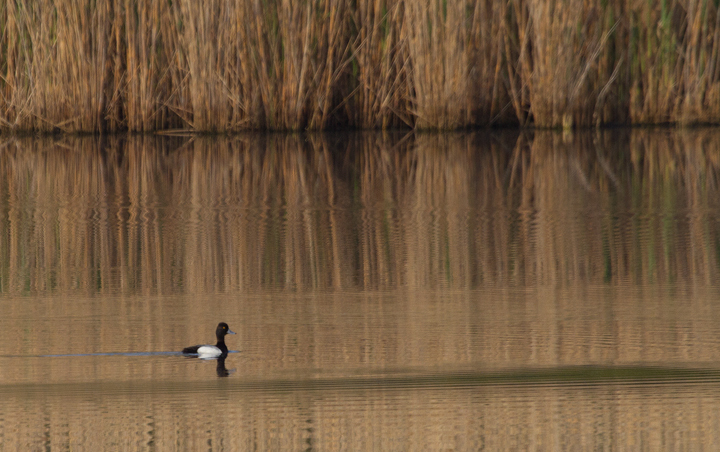 Below: A drake Lesser Scaup drops in at the Fort Smallwood pond for a couple minutes before continuing north (4/15/2012). 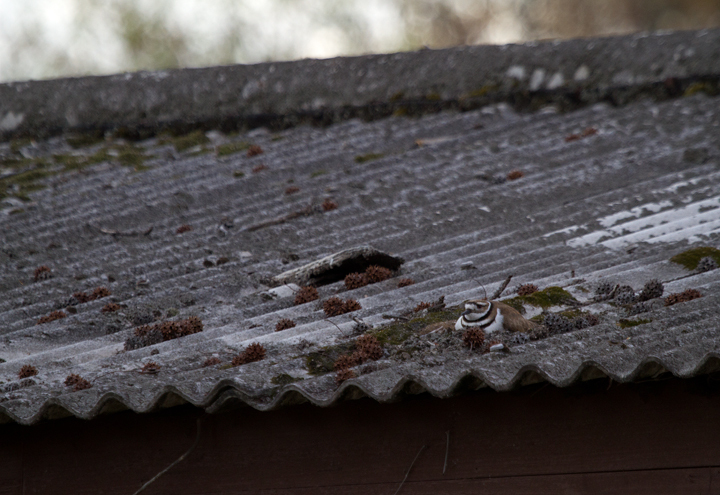 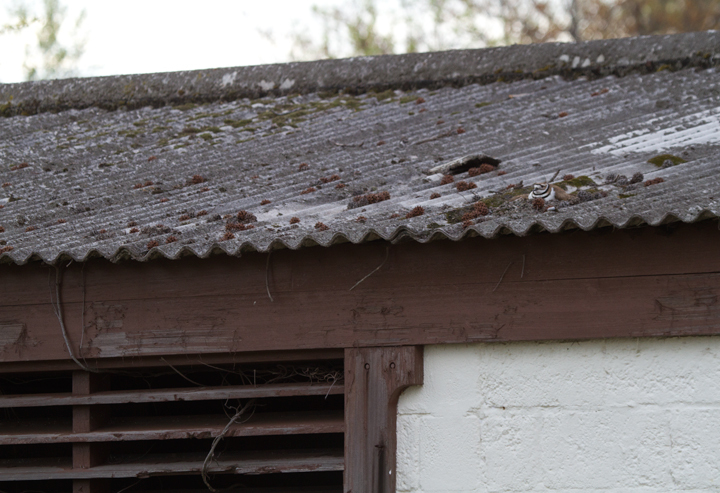 Below: A Killdeer chose this building top for a nesting site at Fort Smallwood Park, Maryland (4/12/2012). 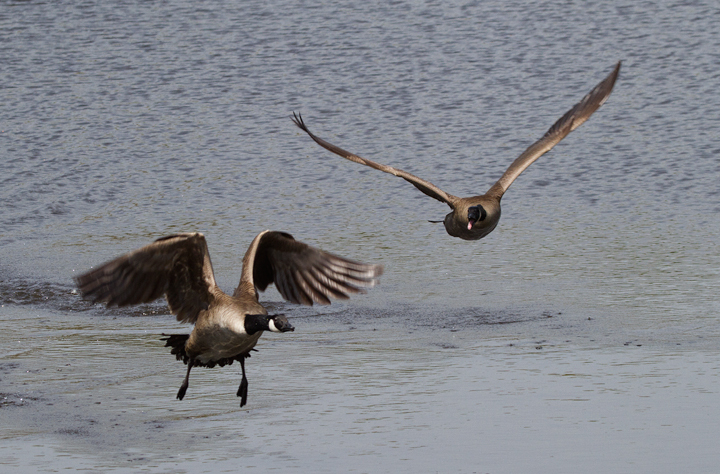 Below: Prime real estate is contested by local Canada Geese (Fort Smallwood, 4/14/2012). 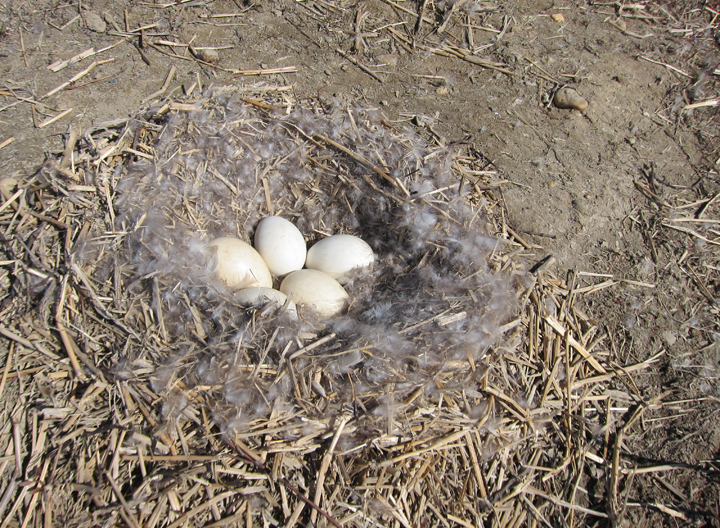 Below: A Canada Goose nest with five eggs at Swan Creek, Maryland (4/8/2012). 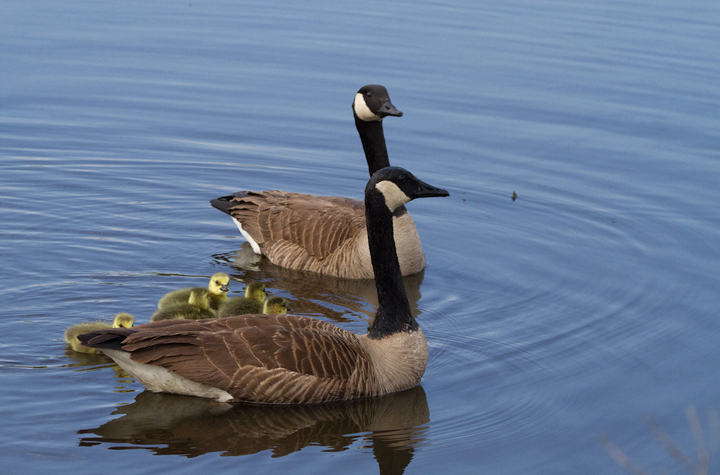 Below: Five Canada Goose goslings already fledged at Fort Smallwood Park, Maryland (4/15/2012). 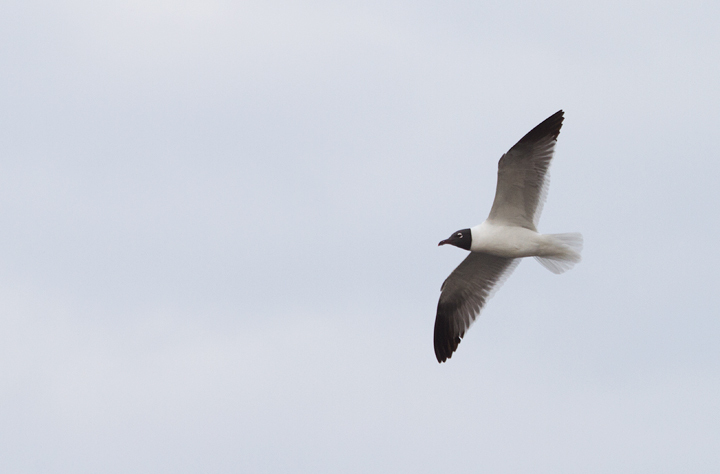 Below: One of two Laughing Gulls that stopped in at Fort Smallwood Park today (4/15/2012). 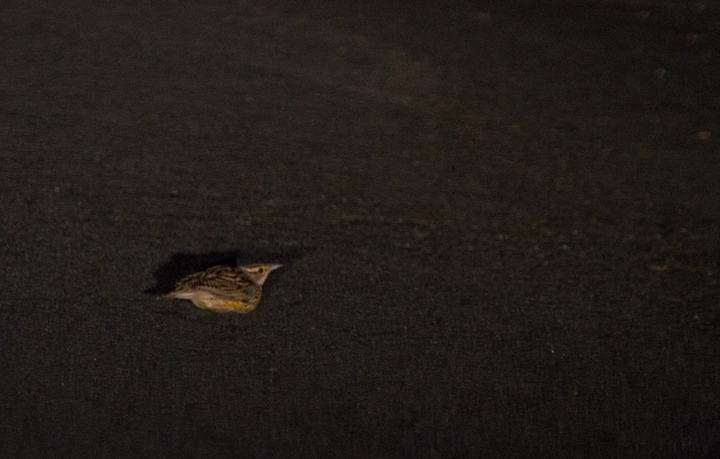 Below: Documentation photo of a night migrant Eastern Meadowlark at my home in Pasadena, Maryland (4/3/2012). 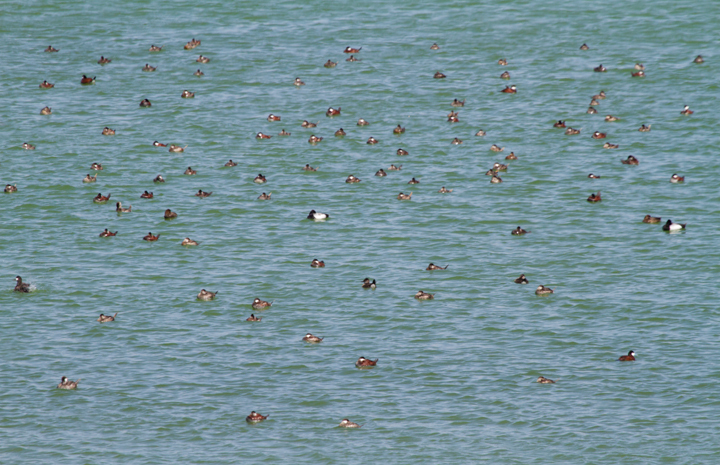 Below: A large flock of Ruddy Ducks and a few Lesser Scaup at Swan Creek, Anne Arundel Co., Maryland (4/8/2012).